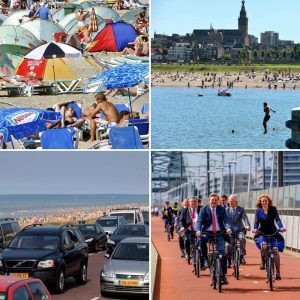 Day out at the beach: Nijmegen or Scheveningen? On a beautiful, sunny day in the Netherlands, lots of people like to go to the beach at Scheveningen. When it comes to a day out at the beach, it’s one of the best known attractions in the Netherlands. But people are often disappointed. You get stuck in traffic jams for hours, only to end up lying on a crowded beach. It doesn’t have to be like that. Why not try out Nijmegen’s beaches? Since 2016, Nijmegen has had a lovely park on the river, within walking distance of the city centre. Enjoy sunbathing with a view of Nijmegen’s skyline and take a refreshing dip in the safe waters of the Spiegelwaal. 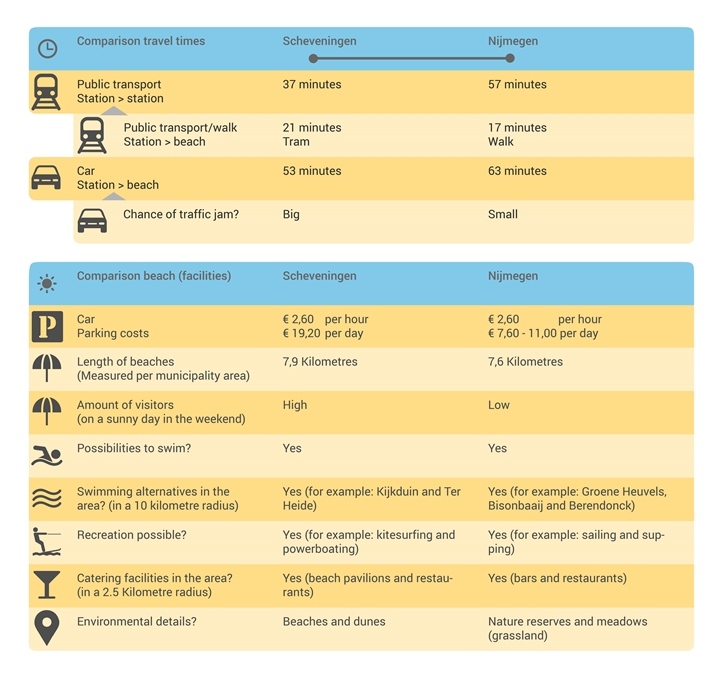 We have made a list of differences between Nijmegen’s and Scheveningen’s beaches. In order to compare travel times, we have used Utrecht’s Central Station as the starting point. This is the most important railway junction in the Netherlands and so it is ideal for comparing the beaches’ public transport links.